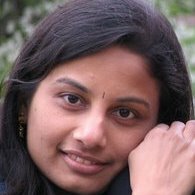 I am Krishnaveni, a Software Engineer by profession, currently located in Mangalore. I will be updating all my kitchen ventures in this blog. Keep visiting...Keep trying them out!! Thanks for the recipe. I tried masalapuri. It came excellent. These days,we don't get authentic masalapuri anywhere. My fmly enjoyed..
very authentic Karnataka recipes with step by step pictures! very easy to follow! Cooking is an art! Thanks for sharing. Prepared the Mint Tambli following your recipe. The photos helped a lot to know how much to fry. Many thanks and best wishes. Hi, I have just seen some random recipes in your blog and all those look new and mouth watering. Simple explanation and related pics wherever needed. Great job done, Krishnaveni Nalka.